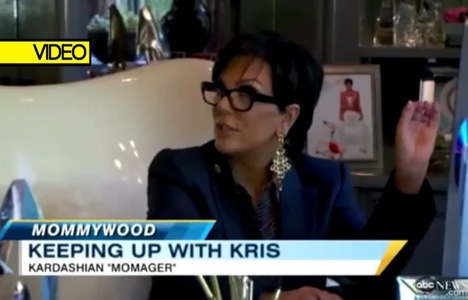 Can Kris Jenner Trademark “Momager”? We love them, or we hate them. Either way, we see them everywhere. I am referring to the one and only Kardashian family. Every month, members of the Kardashian-Jenner family are in the news for one reason or another. In May, Kris Jenner, the Kardashian matriarch filed legal documents to trademark the word “momager”. According to the Urban Dictionary, a “momager” is a manager that is your mom. Kris Jenner hopes to trademark the word in order to launch a new business platform and lifestyle brand to empower moms. Kris Jenner would not be the first to capitalize on her celebrity status. Football player Tim Tebow successfully trademarked “Tebowing”, Paris Hilton trademarked the catchphrase “That’s hot”, and basketball player Anthony Davis trademarked “fear the brow” and “raise the brow”. In fact, this is not even the first time a member of the Kardashian-Jenner family registered a trademark. Earlier in May, Kylie and Kendall Jenner filed to trademark their names. Celebrities often seek trademark protection to protect their likeness and to prevent marketing that may dilute their image. However, Kris Jenner is attempting to trademark a new, hybrid word as opposed to her personal name. A trademark typically protects brand names and logos that are used on goods and services but can also include catchphrases. Many individuals and entities file online applications to register with the U.S. Patent and Trademark Office (USPTO). The USPTO grants trademark protection to the first entity that files unless the register name is deemed too generic or descriptive. Including Kris Jenner’s application, several current and pending applications exist for “momager”. Jenner’s application claims she will use the word to provide information within the fields of entertainment and pop culture. There are several benefits to registering a trademark. By establishing a trademark, you can prevent someone from using your trademark without prior consent. Other advantages include: notice to the public of the ownership of the mark, a legal presumption of ownership nationwide, and the exclusive right to use the mark in connection with goods or services. By having a recognized and registered trademark for “momager”, Kris Jenner could potentially sue anyone who used it without her consent. If Kris Jenner is the first to register the trademark “momager”, which might appear to be true in this case, the USPTO will most likely accept her application. Of course, simply filing an application to register a trademark is not the end. Kris Jenner will have to police and enforce her rights in order to maintain “momager” as a federal trademark. Assuming that Kris Jenner continues to use the mark and file all necessary maintenance documents, based on 15 U.S.C. § 1058 Section 8, her registration “shall remain in force for 10 years” and can subsequently be renewed for 10-year periods. Most likely, “momager” will be one of the many registered trademarks to be associated with the Kardashian brand. Will Congress Allow Consumers More Privacy?